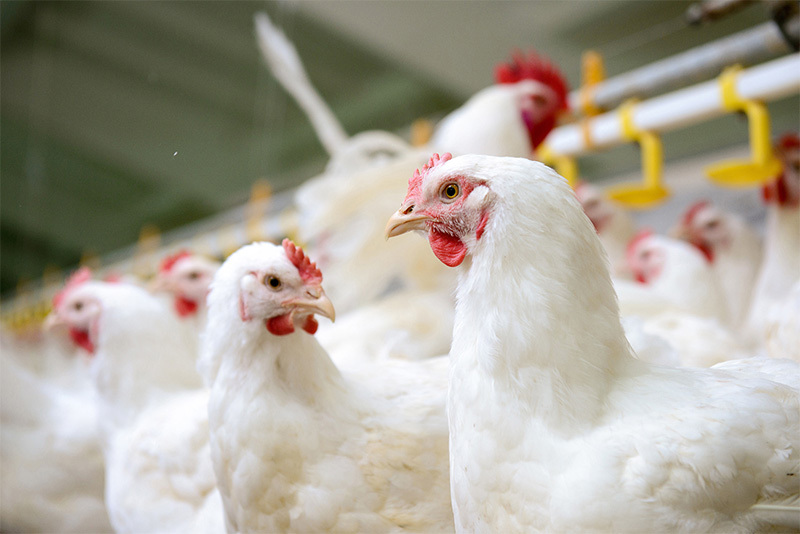 We are pleased to supply meat birds to both trade and private customers on a weekly basis. The Ross/Cobb type birds are available as day old chicks or as five week old, off heat growers. These are a commercial strain and will perform exceptionally well giving fast turnaround on investment. They are our most popular meat birds and are renowned for their fast and reliable meat production. The Ross birds have a very good feed conversion rate and provide excellent quality meat. They can be ready for processing from 6 weeks onwards but this will greatly depend on how they are farmed. This can be extended to around 10 weeks if required. Being a slower growing bird, our Hubbard strains are particularly good for free range systems and take a little longer to reach their weight. As a guide, they will take around a month longer to reach the equivalent Ross weights. These birds are only available as day old chicks and we generally need at least a few weeks notice to ensure supply is available.